Amazon Review: “I’ve had my Keynamics Aviator stand since 2005 and it still isn’t showing any signs of wear. 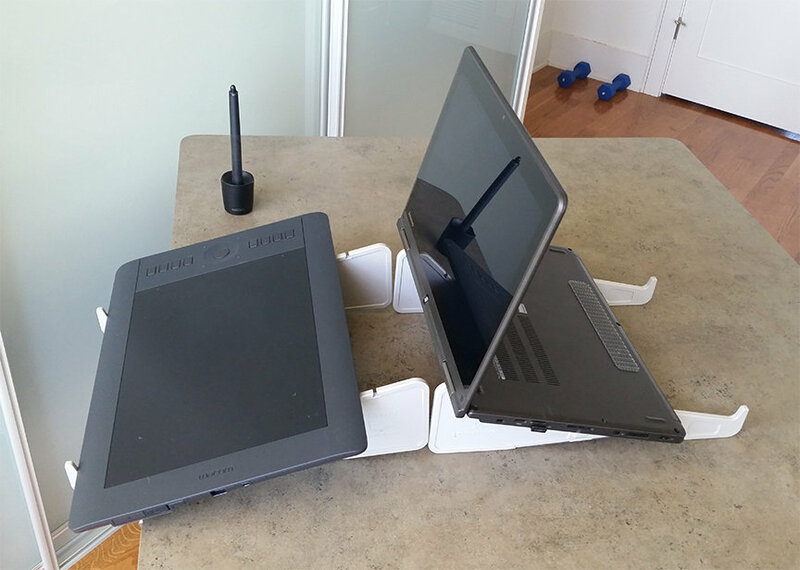 I originally bought it for use with a heavy HP workstation class notebook computer, but now it serves as an angled stand for my Wacom Mobilestudio Pro 16 TabletPC. For me, it’s absolutely perfect for that. It’s got a great angle for drawing, none of the vents are blocked, and there’s no risk of scratching the rear camera. Amazon Customers love our laptop Stand. Save money on Shipping if you are an Amazon Prime Member. 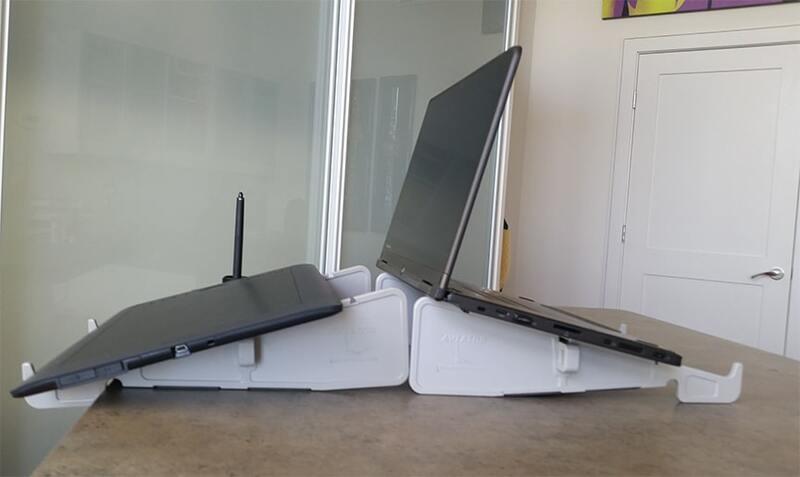 Our laptop stand works on a table or desk. 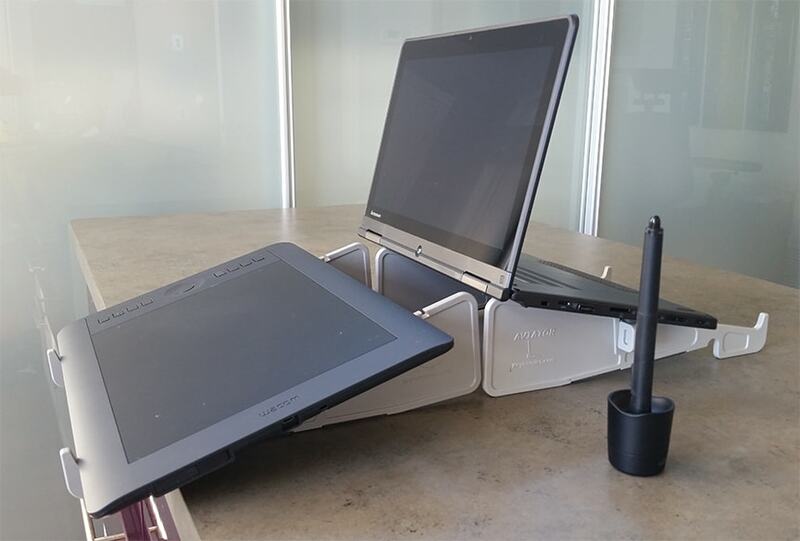 Designing the world’s first laptop stand was just the beginning for Keynamics ®. Our founder and owner, Greg Bright, invented his stand back in the mid 1990’s – back when most folks thought office ergonomics was some sort of disease. After patent approval and going into production in the first part of the new millennium, Mr. Bright was met with skepticism by laptop owners and professional ergonomists as well. “What is this and why would I need one?” was the typical response. The ergonomic community was already up in arms over the proliferation of laptops and denounced their usage all together – due to poor postures and repetitive strain injuries. Well…the tsunami was hard to stop – notebooks are now outselling desktops and practically everyone has one . Even Corporate America is rushing out to replace all their old desktop PCs with laptops, even for their non-traveling employees. 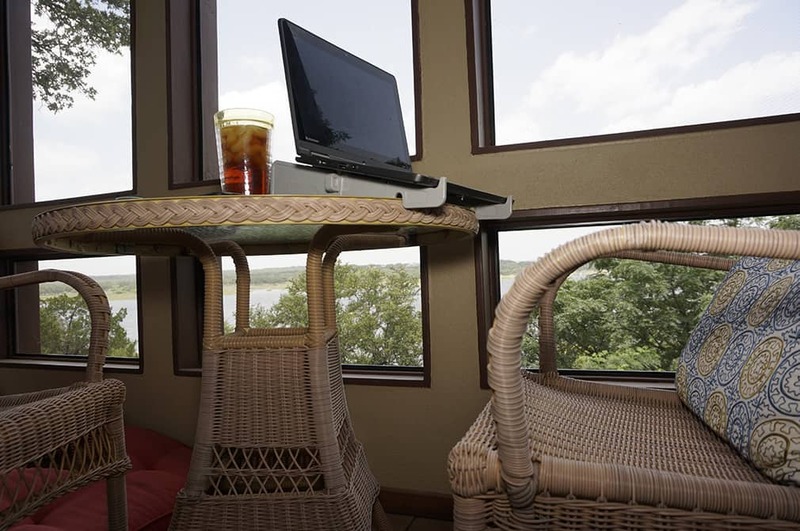 Now that folks are becoming injured and worker’s comp claims are going up – awareness for laptop stands is at an all time high. Everyone that is “feeling the pain” now understands the importance of healthy postures and laptop ergonomics. Recent medical studies have proven that an “open” or slightly “reclined” posture is one of the healthiest ways to sit and most ergonomists agree. Note: Most ergonomists agree that the open posture and reclined sitting are easier on your back. Most ergonomists also agree that there is no single “healthiest” or best posture . Near-neutral posture, variety in postures, movement, and changes are best. 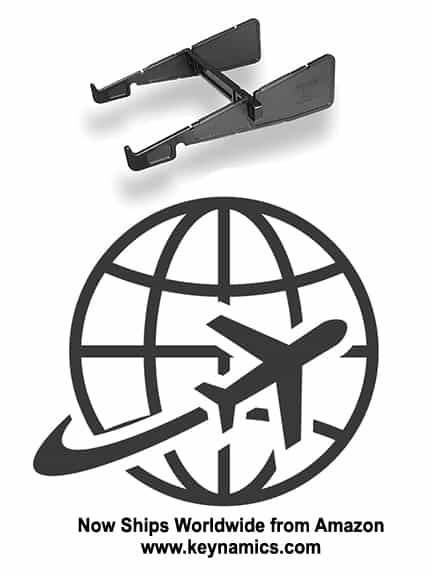 The Aviator laptop stand promotes active ergonomics with multiple positions for frequent posture changes. The Aviator meets the recommendations as set forth by OSHA – the United States Federal Authority on workplace safety. Traveling the safety and ergonomic show circuit, Mr. Bright began picking up other ergonomic computer workstation product lines that he knew would benefit his health and wellness minded customers – after all, the best laptop stand in the world can’t help someone if they are sitting in a $40 chair. Fifteen years later, Keynamics has evolved into a full blown, one stop office ergonomics product and service provider. One interesting little piece of history, was the day Mr. Bright was exhibiting at the National Ergonomic Convention in Las Vegas. That day, Mr. Gene Kay (then American Express – Global Ergonomics Manager ) came by for a visit and commented “I think you have figured out the solution for laptops.” That was eight years ago, today Mr. Kay and Mr. Bright have teamed up to offer the best online ergonomic training program on the market. Please see our ergonomic training link above for the Ergo Advocate™ web based – office ergonomic training program developed by Gene Kay. Whether it’s ergonomic products you want or ergonomic training for your employees, Keynamics has it all. 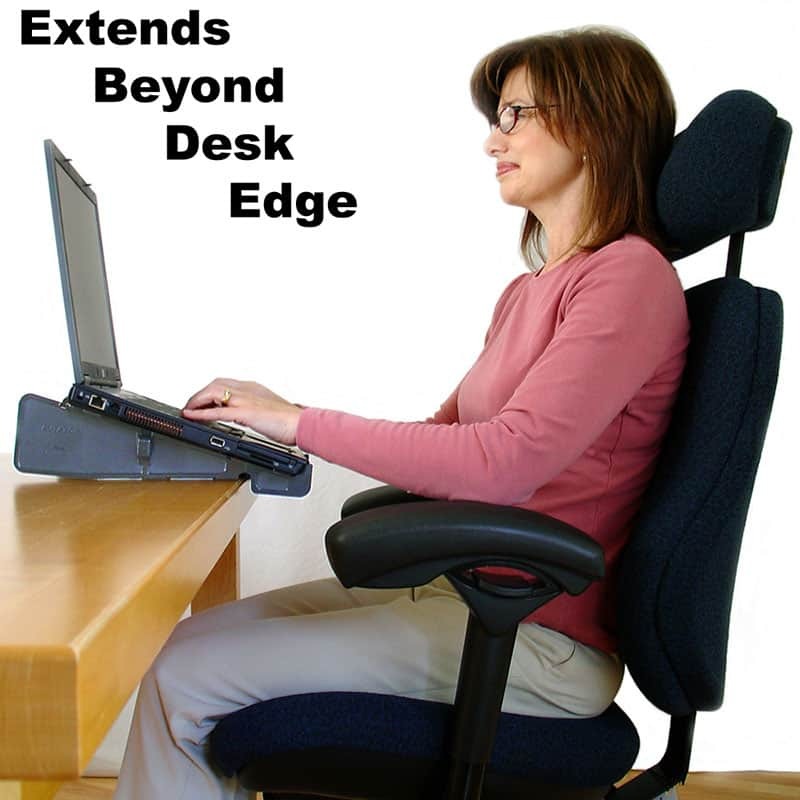 We even manufacture custom made ergonomic products for our vendors and customers. We hope you become one of our 10,000 plus satisfied customers.